What is the Cowichan Housing Association? The Cowichan Housing Association (CHA) was established in 2015, under the BC Non-Profit Society Act. It emerged from the work of the Regional Affordable Housing Directorate under the umbrella of Social Planning Cowichan. What Does the CHA Do? The CHA is a regional organization that works to improve affordable housing at all levels of the housing continuum. It works to increase affordable housing options and to prevent homelessness in the Cowichan Region through research, community development, homelessness prevention programming, and facilitating affordable housing development. It coordinates community initiatives and provides a host of housing-related services, programs, and projects that are best provided through a central organization. Promoting best practices and innovative solutions. Through these experiences, and the associated planning, it became clear that a local source of funding was required to assist with seed money for projects, and to prevent organizations from losing valuable opportunities due to the lack of this type of funding. The CHA works hard to keep informed and connected, and to coordinate its activities with other community organizations and initiatives. In addition to its key work, the CHA undertook the development of an Attainable Housing Strategy for the Cowichan region in 2018. In 2016, 11,435 CVRD households did not meet one or more standards for housing adequacy, suitability or affordability. The BC Non Profit Housing Association has estimated the number of rental units needed to address the current backlog at 750, and that an additional 850 units will be needed by 2026. These statistics convey an urgent need for development of both rental and ownership housing that is attainable and can meet a range of needs. But where do we begin? How do we ensure that we are planning for the spectrum of needs in our local communities? Develop strategies that will provide direction for local governments, non-profits, business, and community groups to take action. Community meetings took place in June, and an online survey closed at the end of July. The CHA is now processing all of the input, and aims to have a draft document out for review soon. The Strategy is intended to identify measures that communities can pursue to increase the supply of housing units that are attainable, particularly to those at the lower and moderate levels of income. It is also intended to identify the highest priority affordable housing projects by type, location, and level of readiness for the next five years. For more information about the Cowichan Housing Association, please visit: www.cowichanhousing.com. Learn more about the CHA will work within the proposed Cowichan Housing Association Annual Financial Contribution Service. 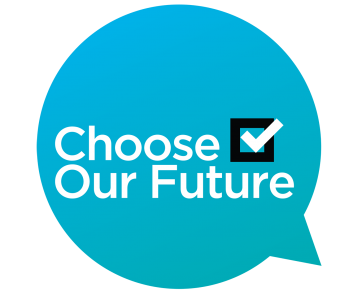 Join us at the following public information event to listen to a presentation about the proposed service and ask questions so you can make an informed vote on October 20 – the proposed service will be a referendum question.